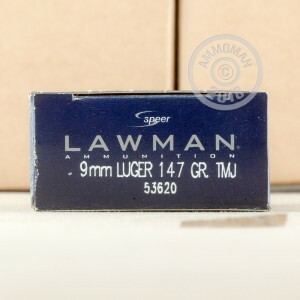 Speer Lawman delivers all of the same quality as premium ammunition, but for a fraction of the cost! 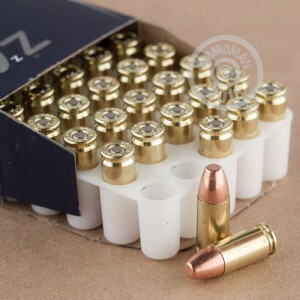 Each 9mm Luger round contains a total metal jacket bullet and a reloadable brass case. Lawman uses a TMJ bullet which lowers costs and covers the entire lead core of the bullet, which is typically exposed in an FMJ bullet. For over 35 years, Speer has built a reputation for high-performing, all-purpose ammunition. Depending on the product line and use, all of Speer's products are designed with either a TMJ or FMJ bullet. 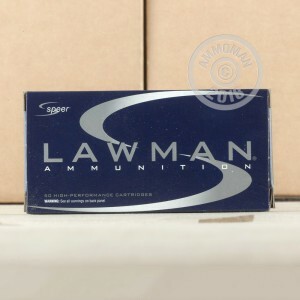 When it comes to reliable, quality ammunition for an affordable price, look to Speer Lawman!